The 1-3-2-4 system is a gambling strategy devised by Fortune Palace in 2006, which works well on bets which are close to evens chance (i.e. 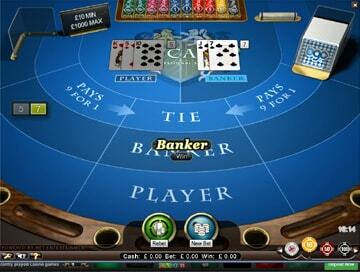 50/50, like a coin toss) - particularly in Baccarat and Roulette. It's based on the popular 1-3-2-6 system, but is designed to reduce the win/loss variance by only betting 4 units on the fourth bet, thereby preserving an overall win, even if the last bet loses. In the 1-3-2-6, you could accrue a profit of six units by winning the first three bets (1, 3 and 2) and then gamble all of that on the last bet. In the 1-3-2-4, you keep back two units from the six already won. 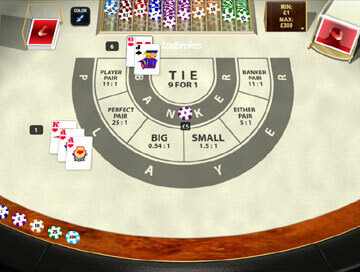 If you win all four bets and complete the sequence, you go back to the start, having made 10 units profit! 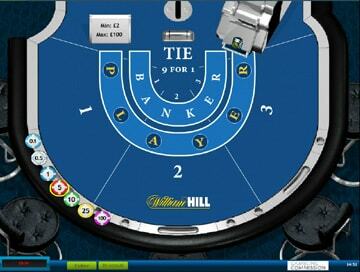 NB the bets relate to a number of units, so if you're betting in £10 units, your bet sequence is 10, 30, 20, 40. If you want to see a step-by-step video tutorial on the 1-3-2-4 system, check out our Youtube video below. But the great thing about the 1-3-2-4 is that as long as you win the first two bets (1 in 4), you're guaranteed an overall profit, even if the third bet loses! The main difference between this and the 1-3-2-6 is in the "consecutive win" test (see test results above). 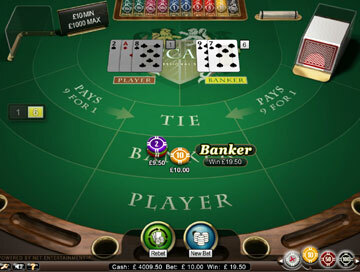 This gambling system returns a profit of 5 as opposed to 1. This is offset by making 22 as opposed to 26 on the "good win" test. In our opinion, though, the "consecutive win" test is more realistic than the "good win" test. As our overall gambling strategy explains, a good gambling system should make consistent profits in realistic situations rather than larger profits in less realistic ones. 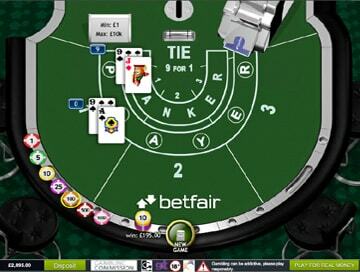 There are a multitude of Baccarat strategy sites that push the 1-3-2-6 system, claiming that a losing fourth bet leaves you even. This is based on the reasoning that the 'money back on Tie' rule makes the probability of winning on Banker more than 1 in 2 i.e. better than a coin toss. Whilst this is true, the vigorish (the commission taken on winning banker bets), means that a losing fourth bet actually results in a loss of 0.3 units when using the 1-3-2-6. The 1-3-2-4 allows for the vigorish and returns a profit instead. 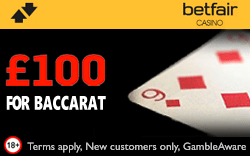 There's some rather complex maths behind this, and if you want to know more it's explained fully in our Baccarat strategy page. 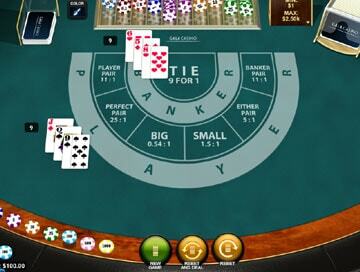 The 1-3-2-4 is a simple system to operate and we recommend it for low-risk gamblers. 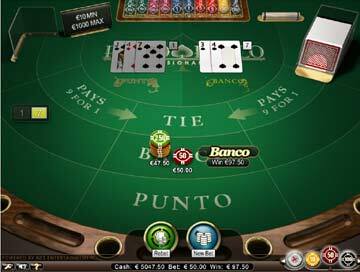 It is another of our preferred gambling systems for the Big/Small bets in Sic Bo - see Sic Bo winning strategy for explanation. If you're a high roller, looking to fully test the 1-3-2-4 system on either Baccarat or Roulette, the best experience is to be found at one of our Live Casinos. 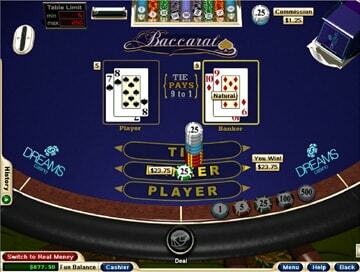 Play the 1-3-2-4 on Live Baccarat or Live Roulette now!